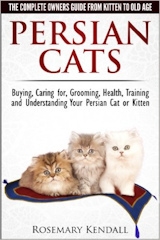 Below are a few books that we highly recommend for further information on Persian cats and their care. Click on the picture of the book and the link will open a new window on Amazon.com. Are you a cat owner or are you thinking about becoming one? If cats have already cast their magical spell on you, you'll find valuable information for you and your feline friends. If you're getting your first cat or find yourself unexpectedly living with a feline roommate, welcome to the cat fancy. Get ready for a whimsical, enchanting, and affectionate lifelong relationship! 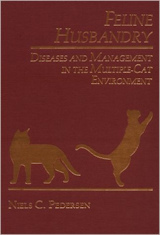 A must have book if you are thinking about the possibility of breeding cats. Thoroughly updated and revised, a complete feline medical reference furnishes timely imformation on cat nutrition, reproduction, genetics, first aid, breeds, anatomy, medical advances, preventive care, and more. Long-time successful show enthusiast and breeder of Persian cats, Anna Sadler, has written an informative book on her beloved Persian breed. Comprehensive in scope and exclusively devoted to feline medical care, Dr. Susan Little's The Cat: Clinical Medicine and Management is an essential resource for anyone who provides complete, state-of-the-art care to cats. 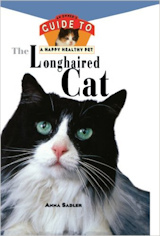 This is a must have book on cat care and managing your cat's health. With their long, lush fur, their gentle character and their origins in the fabled caravan cities of Central Asia, Persians are amongst the most appealing of all cats – and this book is the essential guide to everything you could ever need to know about their health, behaviour, wellbeing and more. Written by experienced vet and cat expert Gordon Roberts, you'll learn about the history and character of the species, and get vital insights into all the challenges a cat-owner might face. With chapters dedicated to each of the common diseases that affect Persians, and clear-eyed professional insights into the issues of neutering and vaccination, the book cuts through old wives' tales and tells you everything you need to know about feline health. Short of a veterinary textbook, this is the most readable and informative feline textbook available, for those who want to be more educated about their domestic cat's physical and emotional health. The book offers a great format, with a complete description of the necessary vitamins and minerals cats need, and arguments for which foods are best. 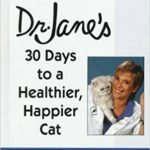 At the time I read this book, I was making homemade food for our pets, and I found this to be a reliable resource with a problem-and-solution outline for various feline issues and challenges. Updated edition - The idea for this book was initially conceived after I viewed the documentary, "The Paw Project", and became interested in researching the subject of declawing and the reasons this particular area of animal surgery was initially developed, and is offered to clients. 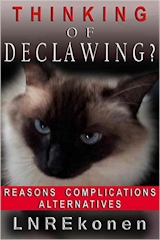 This book discusses, in a respectful but factual manner, practically everything you may need to know about declawing. Cat Behavior Problems - A collection of books from Amazon on Cat Behavior Problems and how to correct them. What About After You Die - What happens to your pet? If you were to die tomorrow, what would happen to your beloved animal companions? Would they be cared for and loved, even after your death? Do you have an appointed caretaker that you can trust? Do you have legal safeguards in place to protect your animals from being surrendered to an animal shelter, or worse yet, put to death? When Your Pet Outlives You is the first comprehensive book to help you prepare for the future care of your animal companions, if you were to die before them. This book combines compelling personal stories along with practical steps you can take to protect your animal companions. Chapters include discussions of establishing a pet I.D system, pet trusts, animal sanctuaries, and pet retirement homes. The authors also take a discerning look at the pros and cons of different state laws for protecting pets, sample legal documents, what to do if you are financially strapped, and more. 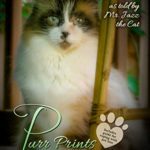 Deborah and her beloved cat Ragdoll cat, Mr. Jazz, spent a lifetime together. The bond they shared was special – he was her companion through the best and worst of it all. So when the inevitable happened – the realization he was dying at 15 years of age and she would have to face the painful and difficult decision of helping to let him go, their relationship changed, causing Deborah to learn some invaluable lessons from him about life, love, grieving, and letting go. 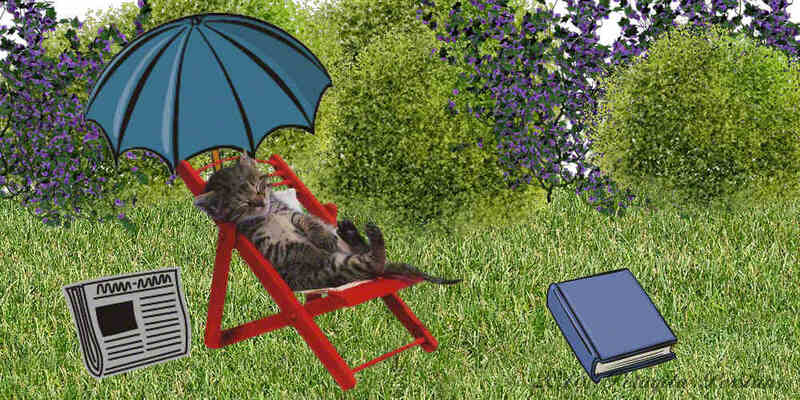 Additional books on feline aging, care for the aging cat, death and grieving for your cat.